After our time in Lisbon (which you can read about here), Bill and spent four days/three nights in the Amalfi Coast, in Italy. There are many incredible towns to visit along the Amalfi Coast, however, we decided to stay in the town of Salerno and take day trips to other parts of the coast, namely the towns of Amalfi and Positano (discussed below). Salerno is a "low-key" coastal town, which was a refreshing contrast to the other tourist-packed sites we had been to. Although the town was less touristy, there was still plenty to see and eat! We stayed at the B&B Il Ritratto, a charming bed and breakfast in the center of Salerno. The B&B is run by a kind man named Guido, who worked tirelessly to ensure we were comfortable and well fed in the morning. In addition to giving us a run-through of the city's most desirable sites upon our arrival, Guido also offered advice and answers to any questions we had throughout our stay. Additionally, our room was modern, clean, and spacious. Because the bed and breakfast is located on a quite street, we had no problem with noise, even though the city's bustling main street is only three blocks away. We couldn't have been happier with our accommodations! Higher up in the city, and one of the coolest sites in Salerno, is the Minerva Gardens. Historically known for the growth of medicinal plants, this tiered garden features amazing views of the city, as well as a small cafe with terrace seating. Salerno Cathedral is Salerno's most prominent church, and is dedicated to Saint Matthew. The most striking part of the church was the crypt, believed to house the relics of Saint Matthew. It features beautiful high-ceilings decorated with frescoes painted by Belisario Corenzio. With only three nights in Salerno, we indulged in as much pasta and pizza as we could. L'Unico, a quaint restaurant with plenty of outdoor seating, is where we had our favorite pasta dish, the linguini with zucchini. This plate was incredibly satisfying (the rich creamy sauce may have had something to do with that). If you're looking for a real Italian experience, for an affordable price, this place is a must! I loved the pizza in Salerno. Our favorite was the margherita pie from Antica Pizzeria Sorrentina. Everything from the fresh flavors, to the sauce-to-cheese ratio was on point. We found our second favorite slice at a place right on the water called, Embarcadero. What made this pizza different was the tasty, thick, and crunch crust! Lastly, we also tried the margherita pizza at a restaurant by the name of Criscemunno. The pizza was a solid choice, but because it was lacking in cheese, it fell to spot #3 on our list of favorites. 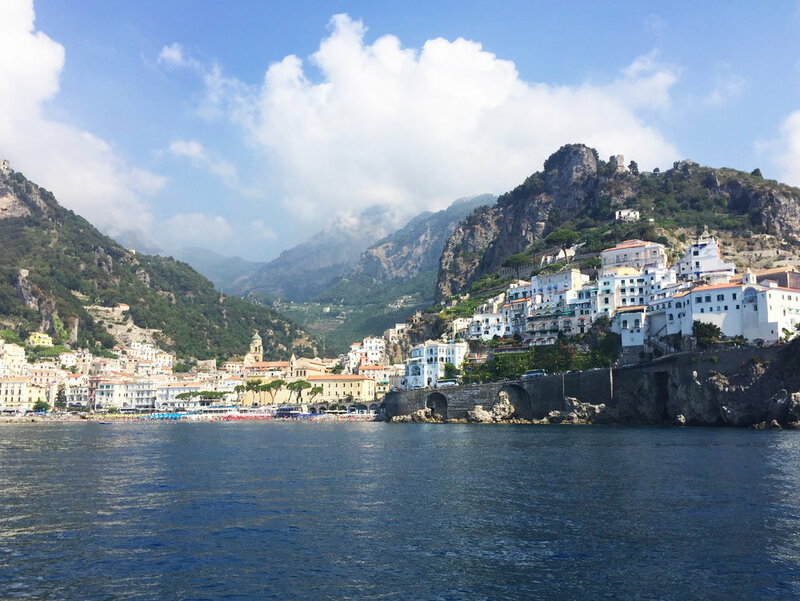 The first day trip we took from Salerno was to the town of Amalfi. The port was less than a 10 minute walk from the B&B, proving again that it's location was convenient. We took a Travelmar ferry to get there, which was half the fun (the views from the ferry were impeccable)! The cost of the trip was 8 euro each way. While we purchased our tickets in advance from Traghettilines.com, it appeared that buying tickets the day of was also a safe option as long as you arrived 10-20 minutes before the ferry departure time. The town itself offered many shops and boutiques along the main road. We shopped around, indulged in some gelato and fried squid, but spent most of our time at the beach and in the cool, crisp water! I just want to note that the beaches were not sandy, they were filled with large pebbles which made walking barefoot quite difficult. I would suggest bringing water shoes to avoid any discomfort while walking in and out of the water. We spent the rest of our time enjoying the views from the board walk before hopping onto our return ferry. 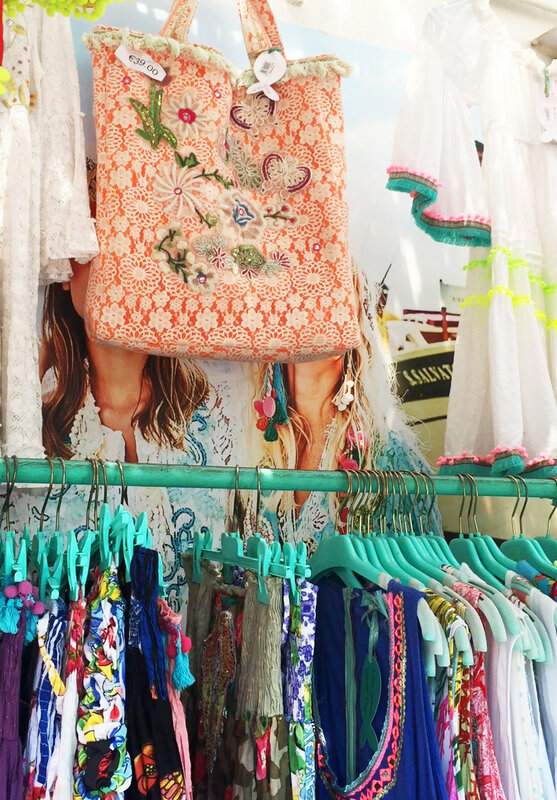 Our second, and last, day trip was to the town of Positano, famous for it's colorful houses and shops. We took another Travelmar ferry to get there, the cost which was 12 euro each way. As we did for Amalfi, we purchased our tickets in advance from Traghettilines.com, but noticed that it was not uncommon to purchase tickets at the port. The town featured a main street lined with restaurants and colorful shops. If you continue up, you'll see that the road weaves through the town and around the mountain as you climb to a higher altitude. Like in Amalfi, the beach had pebbles instead of sand which is not uncommon for towns along the Amalfi Coast. As I mentioned before, the pebbles didn't make for comfortable walking or sunbathing, so instead we spent most of our time enjoying the clear and refreshing ocean water! Hope this little travel guide is of some help to you if you find yourself traveling to the Amalfi Coast! If you have any questions, please feel free to comment below or contact me here.